24/7 emergency lockout services near me for car, truck, home and office! Open locked doors! 24/7 emergency lockout service to open locked car doors. Locked your keys in the car? Stranded in a parking lot? Lost your keys or broke the lock on your car? 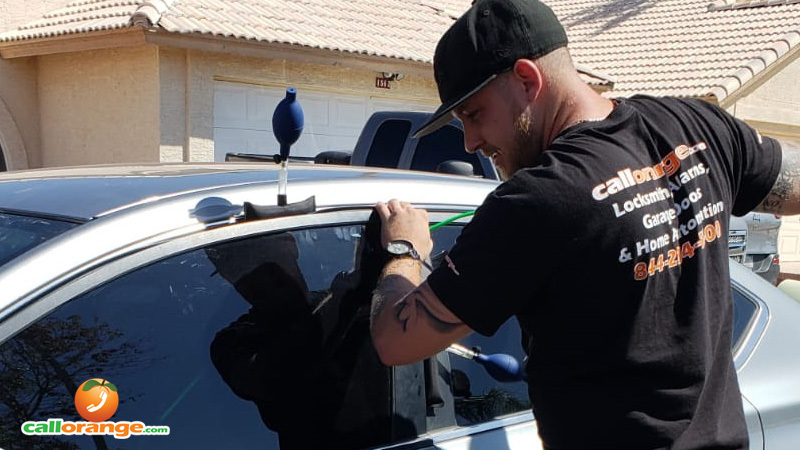 Our fast mobile locksmith technicians can be at your location within minutes for emergency lockout service to open your car door, make you new keys, or repair your vehicle locks and ignition cylinder. We’re available day and night, 24 hours a day! Call us now at (855) 722-1144! Locked out of your house? Lost your house keys or have a broken lock? Just moved into a new house and need to rekey or replace all your door locks? Our professional and affordable emergency lockout locksmiths can be at your home immediately to get you back into your house or create new keys for you on-the-spot! We can rekey your door and garage locks. Install deadbolts and home alarm security and home automation systems! Call today! Need to rekey locks on your office? Have you had recent employee turnover or need to rekey all the lock at your business? Our professional and trusted locksmith and security technicians can come to your business day or night for emergency lockout and rekey your locks, upgrade your security, and install high-security keyless access or master lock systems quickly and affordably. Day or night we can be at your location to quickly and safely open your locked vehicle door. Stranded and don’t have a spare key? We can usually have a locksmith technician at your location anywhere in the Phoenix Metro area within minutes. We can open your door or make you new keys right on-the-spot while you wait! We can even make new laser cut high-security keys or program your computer chip or transponder key. We can even provide and program keyless entry remote keys! Locked out of your house or have a broken door lock? We can be there quickly to make you new keys, or repair or replace your locks. We can even save you money by rekeying the cylinders on your existing door locks and make you duplicate keys. Do you have old worn out locks on your house? Update the security of your home and increase the safety of your family by installing new high-security locks. Watch the video to see how easy it is to pick a worn out door lock… don’t let this happen to you! Cal us now!